Opening the show with soul classic Proud Mary, you know you're in for good night music-wise, but does The Commitments have a strong enough script to match? Roddy Doyle's story is on tour at theatres across the UK following a successful two-year run in London's West End. I caught it at Birmingham's New Alexandra Theatre before it moves on to cities including Manchester, Bradford and Southend before May. 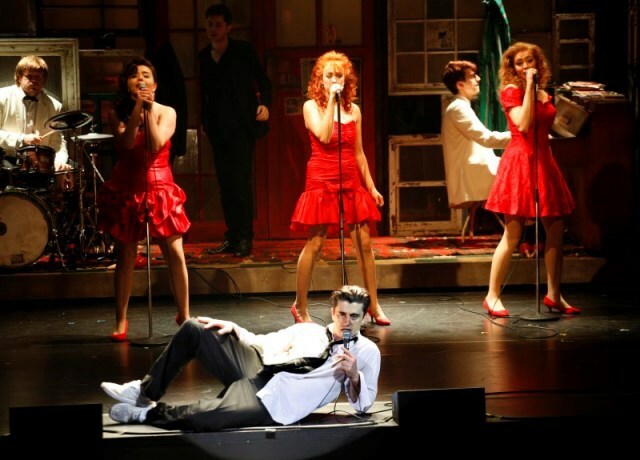 The Commitments is based on the BAFTA award-winning film of the same name but has an emphasis on live music, which is obvious from the opening note and continuous stream of soul that accompanies the show throughout. Getting the author on board (Booker Prize-winning Doyle) for this transfer to stage has been a god-send as the musical has maintained the spark and humour that made the Irish film so well-loved. Set in Dublin the the 1980's, it tells the tale of a motley crew of characters brought together by ambitious young manager Jimmy to form a band – The Commitments – to be the saviours of soul in Ireland. Their brief rise to fame and ultimate inplosion is a character-driven comic turn of events that makes you feel as though you have really got to know all of them. There's the sassy backing singers, who all have an affair with the ageing rock horn player Joey The Lips, the angry drummer and, most fun of all, the ego-maniac lead singer Deco (a brilliant Brian Gilligan who also has an outstanding voice). The cast is made up largely of non-celebrity names who have been picked for their obvious singing or musical talent, which is refreshing and what makes this such a success. 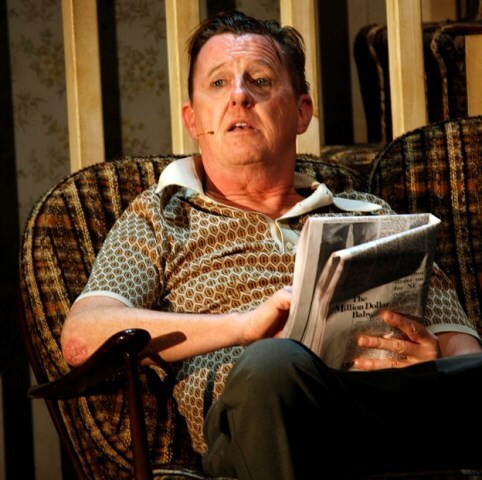 The aside to that rule is former Coronation Street actor Kevin Kennedy, who once played Curly Watts, who gets the comedy role of Jimmy's grumpy father as well as the even grumpier caretaker at the band's first gig. He fits in well with the energy on stage from the young cast but is overshadowed on the comedy front by the hilarious over-zealous skinhead bouncer. Actor Andrew Linnie as the aspirational Jimmy is a good choice too as he plays the role with warmth and is a likeable lead and compere when it comes to the mini concert for the final 20 minutes of the show. 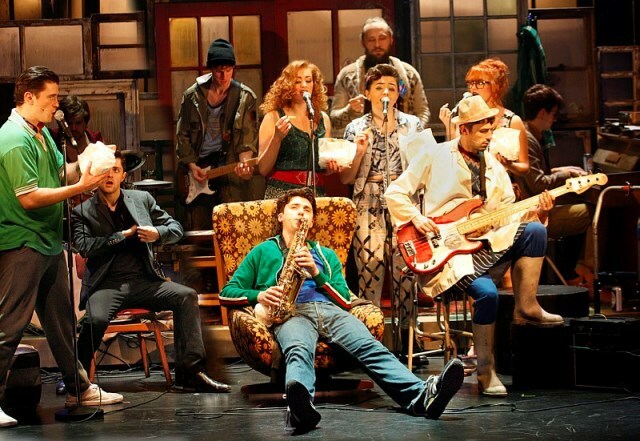 The Commitments is, after all, a celebration of soul and the emphasis is on the music. There's a glorious constant succession of soul classics that featured in the movie including Papa Was A Rolling Stone,Thin Line Between Love and Hate, Reach Out, and Knock On Wood to name a few. The best is saved for last though as Mustang Sally and Try A Little Tenderness finish this well produced, slick show on a high. From the moment The Commitments starts, you know it's only a matter of time before you'll be up on your feet dancing, clapping and singing along as this show has an electric buzz about it that is infectious. It has all the charm of the movie, but with the added bonus of fantastic live music from a talented cast. It's a soul train that will runaway with your heart. Tickets cost from £21.90. 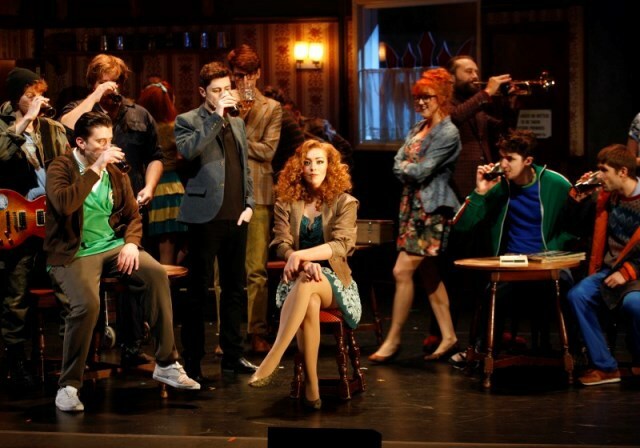 See The Commitments tour website for ticket information.